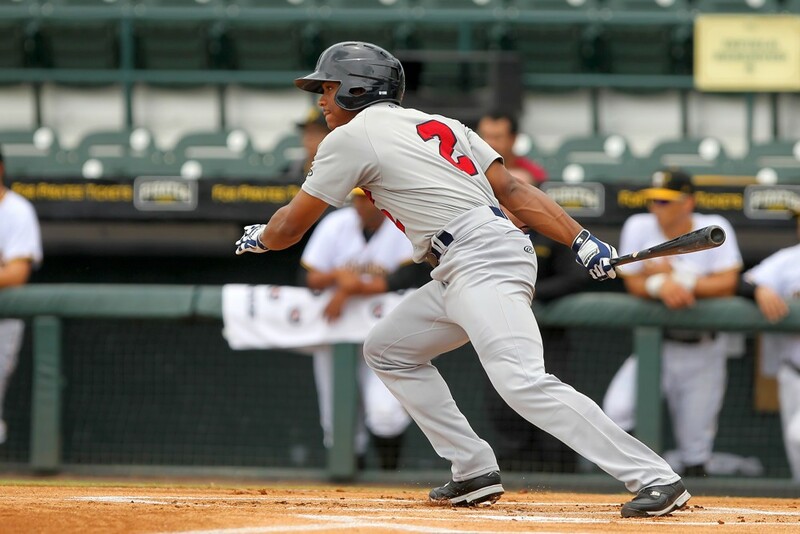 Scouts considered outfielder Corey Ray as one of the top prospects in a deep Milwaukee Brewers farm system entering 2017, after he was the fifth overall selection in the 2016 MLB draft. But, Ray struggled in his first full professional season, despite showing five-tool potential coming out of the University of Louisville. After being hampered by a torn meniscus throughout spring training, which he suffered during an Arizona instructional league game in October 2016, Ray hit .238 with seven home runs, 48 RBIs and 24 stolen bases in 503 at-bats with Class A-Advanced in 2017. He also struck out 156 times compared to 48 walks. His struggles continued in the 2017 Arizona Fall League, as he hit .231 in 23 games. “Last year, I found myself thinking about and looking at what everyone was saying about me,” Ray said. “Because of where I got drafted and the expectations people placed on me, I thought that I was supposed to go into the Carolina League, dominate and be in the big leagues last year. Ray leaned on friend and major-league outfielder Curtis Granderson for guidance throughout the 2017 season. Ray spent the offseason between the University of Louisville, the Brewers’ facility in Arizona and his hometown of Chicago, working on his hitting, yoga and weightlifting. After starting spring training with the major league team in 2017, Ray will report directly to minor league camp this season in mid-February. The Brewers have a plethora of outfielders at the major league level and in the minors. Ray said he’s followed the Brewers offseason activity, but isn’t worried about how he fits into the organization’s future at the major league level. “I don’t look too much into it because I think that if I do what I can do on the baseball field that no matter who we have or who we traded for, I will get where I’m supposed to be,” Ray said. Ray expects to return to the Carolina Mudcats, the Brewers’ Class A-Advanced affiliate, this season. Although his stock as one of baseball’s top prospects took a hit after last season’s performance, Ray believes he’s capable of having a bounce-back season this year. “I have two goals for this season,” he said. “First and foremost I want to stay healthy for the entire year. The second is to just stick with everything I’ve worked on in the offseason. I think the way to stay consistent is to just stick with what you worked on in the offseason and realize there will be ups and downs. Find more draft and prospect coverage here.